Does the pressure change inside a plane when it is opened for paratroopers? For low deployment the cabin pressure is already equal to the outside pressure. For High altitude jumps the pressure is reduced to the outside pressure before opening the door (and everyone puts on oxygen masks). This is normally done at lower altitudes, somewhere from 1,000 meters (3,000 ft) - 4,000 meters (13,000 ft). The airplanes used typically for this purpose do not have a pressurized cabin. So when the door opens for paratroopers to jump, pressure outside is almost the same as inside. After the jump, the door is closed and everyone is happy. 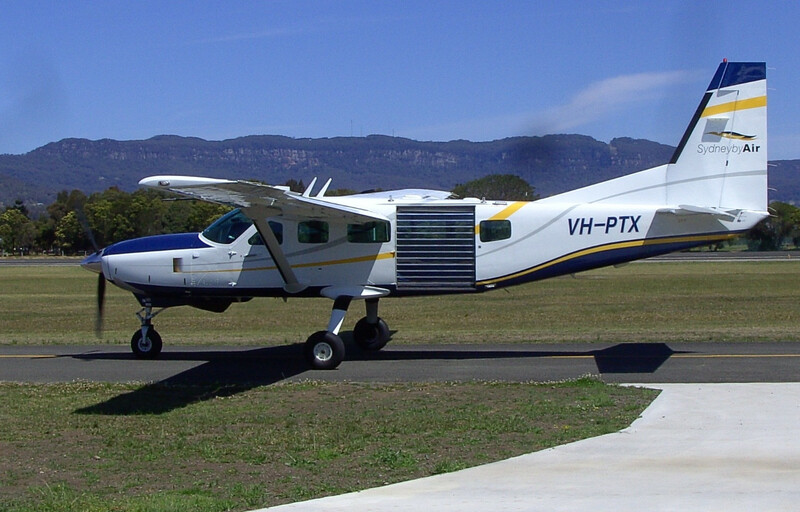 This is a Cessna 208 configured for skydiving, with a door visible on the port side of the aircraft. 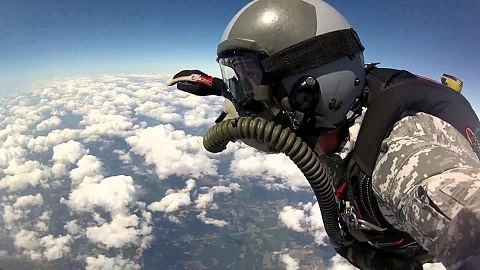 These jumps are done from 4,600 meters (15000 ft) and 11,000 meters (35,000 ft). At 35,000 ft, only 26% of the Oxygen is available when compared to the amount at sea level. When the door is opened at such high altitudes, amount of available Oxygen is no longer sufficient for humans and everyone needs to wear the Oxygen mask to avoid sickness due to high altitude. More about re-pressurization of cabins is discussed here. When you open the door, Bernoulli's principle guarantees the pressure in the cabin will drop (yes, lower than outside). The actual pressure difference will depend on various factors like door placement and size, aircraft slip, but mostly and especially on aircraft speed. For a normal skydiving operating speed (say <100kts) this will raise the cabin altitude by no more than 100-200 feet. Not the answer you're looking for? Browse other questions tagged aircraft-design cabin-pressure or ask your own question. How is the pressure difference in passenger plane toilets generated? Why does the static pressure inside the cockpit vary from outside static pressure? What's the difference between positive and negative pressure relief valves? How does the pressure change in the Air Cycle Machine?